In the windows professional industry, there comes a time when a dealer or an installer has to select a new window manufacturer. If you’re looking for a new manufacturer, you may be new to the industry and looking for your first dealer-manufacturer relationship. On the other hand, maybe you are being forced to look for a new manufacturer because yours has gone out of business. Or maybe you are looking for a new manufacturer to offer more value to your business. For whatever reason, changing manufacturers can feel overwhelming. When looking at windows manufacturers, there are a lot of characteristics to consider and compare. As you search for a new vendor, here are some areas to evaluate. This one may go without saying, but to set yourself up for success, you will want to find a window manufacturer who offers an excellent product with a good reputation. Do the manufacturers you are considering have good reviews? Have their previous customers been happy with their products? Remember, the quality of the product you carry can determine the reputation you cultivate and/or maintain. 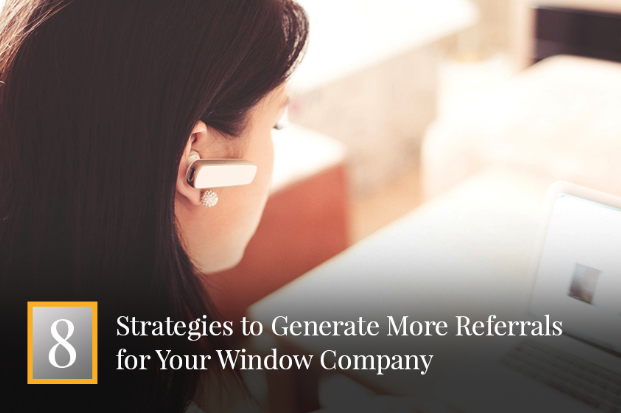 Make sure that the manufacturer you choose can deliver quality windows, so when you sell/install them, your customers will generate positive word-of-mouth for your business. What will a potential manufacturer offer you in terms of lead generation and sending customers your way? Will they be able to funnel leads from their website to you? What are they doing in terms of online marketing and search engine optimization to generate and capture leads? 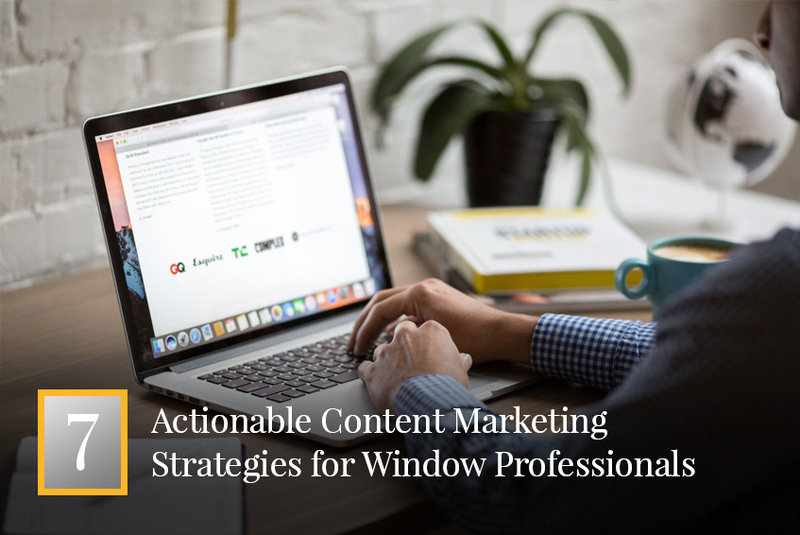 For example, manufacturers who offer online resources like eBooks, brochures, FAQs, and general information are more likely to generate website traffic. 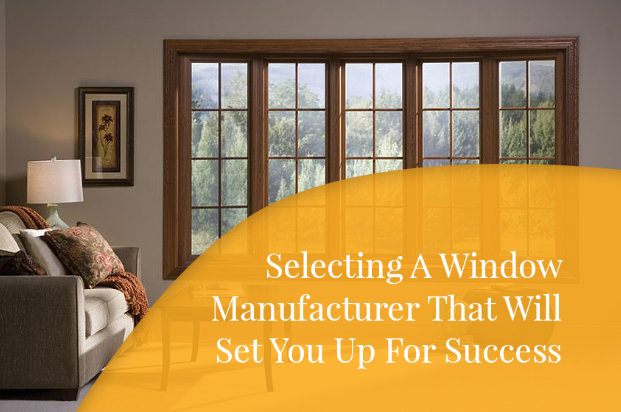 What kind of support does the window manufacturer offer for you and for your customers? Have their customers written online about the quality of their customer service team? Do they offer a product warranty for customers who need replacement parts or windows? Do they have a sales team that understands the in’s and out’s of the product and who can help you learn how to sell it? Do they offer training? 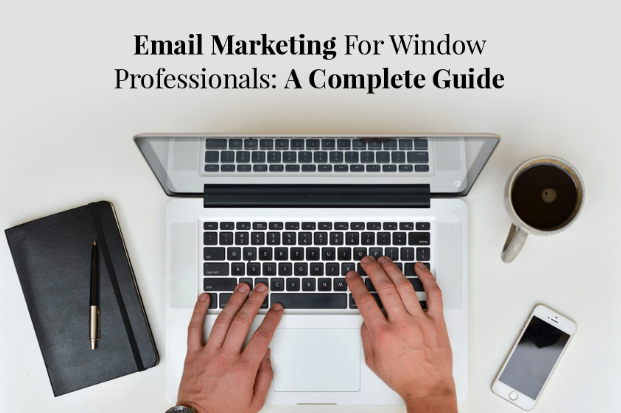 While looking at different window manufacturers, remember to evaluate each potential business partner in terms of each of these characteristics. Which partner will bring the most value to the table and help set you up for success as a dealer? Read on to learn more about the value Sunrise Windows delivers as a potential window manufacturer. Don’t forget to check out Sunrise Windows as your potential window manufacturer. We pride ourselves on setting up our dealers and installers for success in the following areas. We stand by the high quality of our windows. Not only are they beautiful, but we offer a wide range of collections to meet our customers’ preferences and needs in design and performance. Our windows come in more than 80 standard color combinations, and we offer custom exterior colors. Our customers love our windows for the larger viewing area they provide and their durability. We are always developing new products to offer. It’s not enough for windows to look good. They also need to perform. That’s why at Sunrise Windows we manufacture maximum efficiency windows and windows that meet and exceed energy star levels. Our customers rave about the savings on their utility bills, our products are easy to operate, and we offer windows insulated with polyurethane foam. At Sunrise Windows, we pride ourselves on providing excellent windows and top-of-the-line service. Our passion shows through the awards we have received, including both “Top 100 Manufacturer” by Window & Door Magazine, Crystal Achievement Awards for product innovation and manufacturing, and “Ten Manufacturers to Watch” by Door & Window Manufacturer Magazine. With a manufacturer like Sunrise Windows providing your windows, your customers will have the peace of mind that they are investing in a product that will last for years to come. Sunrise Windows are covered by our Lifetime Non-Prorated Transferable Warranty. Our warranty is transferable to the next property owner, covers the entire window, and we replace problematic windows. We know that having the right support in place is crucial to your success. We have a great team at Sunrise Windows that sets us apart. Customers praise our service, including our warranty, and the durability of our products. When you work with Sunrise Windows, you’ll have the peace of mind that we have an excellent team on standby. In the windows industry, closing a sale will depend upon your ability to help customers pick out the windows that will perfectly fit their home and their needs. Finding the right window for a customer’s personal style can feel overwhelming, but our team is here to offer the support, selling tools, and training you’ll need to succeed. We also offer helpful resources for our dealers and installers on our website. We’re here to get customers in touch with you. We offer a dealer search tool on our website, so potential customers researching windows can get in touch with you as quickly as possible. Additionally, our marketing efforts will push leads to you through our blog posts, downloadable brochure, and chat box on our website. Changing window manufacturers can be a tricky process. Ultimately, you have to go with the vendor who will set you up for the most success possible. Whatever decision you make, make sure it’s the right fit for you and your business as a dealer or an installer.